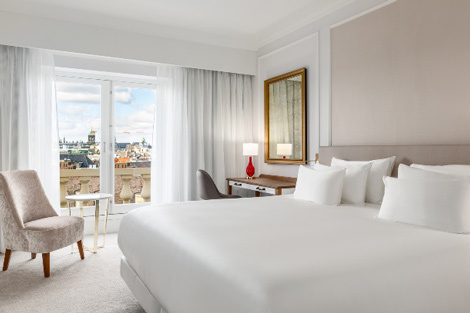 NH Hotel group has launched its upper-upscale NH Collection offering in the Netherlands, with the refurbishment and rebranding of three Amsterdam hotels. The three revamped five-star properties are now known as NH Collection Grand Hotel Hotel Krasnapolsky, NH Collection Doelen and NH Collection Barbizon Palace. The 451-room NH Collection Grand Hotel Hotel Krasnapolsky is located on Dam Square facing the Royal Palace, and comprises 55 adjacent buildings. Facilities include fine-dining restaurant The White Room, and 2,200 sqm of meeting and events space. NH Collection Doelen is housed within a 15th century building on the banks of the Amstel River, and is the oldest existing hotel in Amsterdam. It features 80 boutique-style rooms, and new street-level eatery Restaurant Swych. 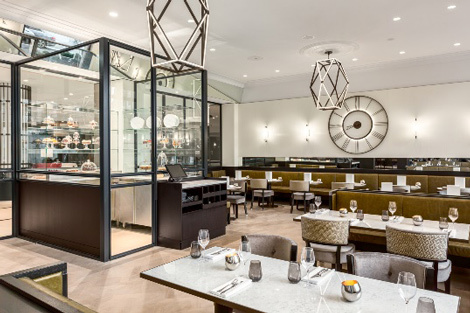 NH Collection Barbizon Palace is located opposite Amsterdam Central Station, and offers 274 rooms, twelve meeting rooms, a gym, a rooftop garden and the 15th century Saint Olaf’s Chapel, which is currently home to pop-up restaurant Roomservice at Olaf’s. The NH Collection is a portfolio of four and five-star properties “situated in iconic buildings in strategic locations”, with features including a 34cm NH Collection Sleep Better mattress, rain shower, LED TV, Nespresso machine, free wifi, professional hairdryer and “exclusively designed amenities”. There are now 58 NH Collection hotels worldwide, with plans to increase this figure to 68 properties by the end of 2016. NH is also in the process of refurbishing two other Amsterdam properties – the NH City Centre Amsterdam and NH Schiphol Airport, while construction will begin this year on the 650-room Nhow Amsterdam RAI. The group is scheduled to debut its Nhow brand in the UK in 2019, with the 190-room Nhow London located in Tech City, the area around Old Street roundabout (see news November 6, 2015).